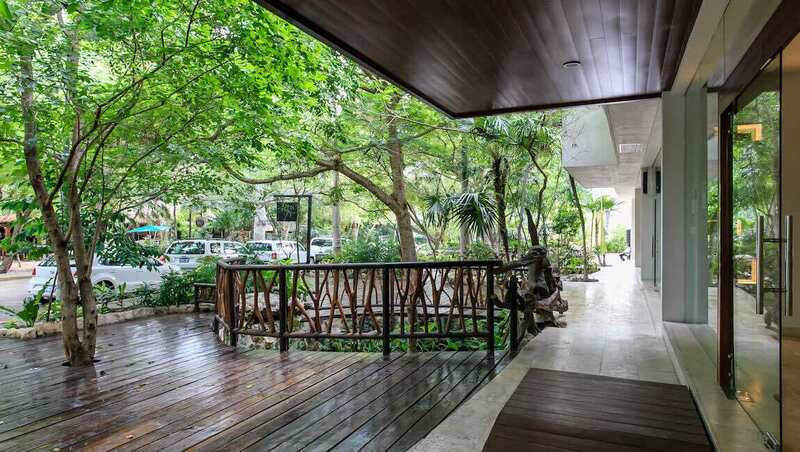 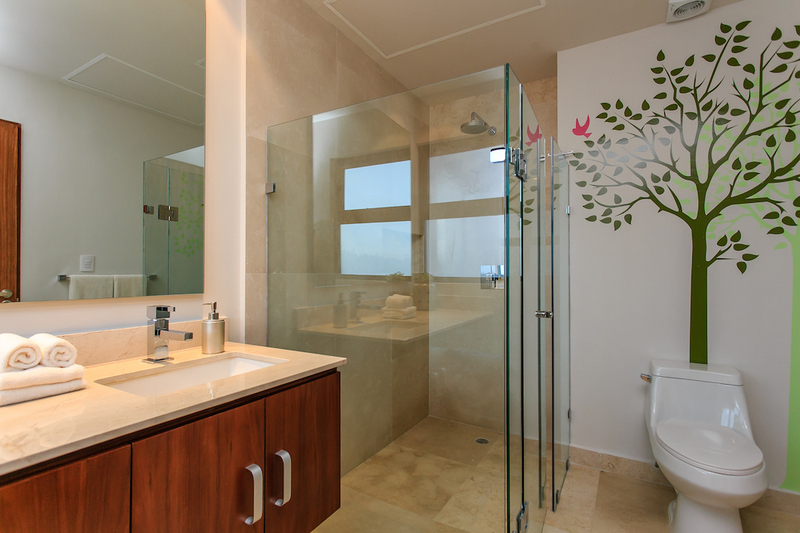 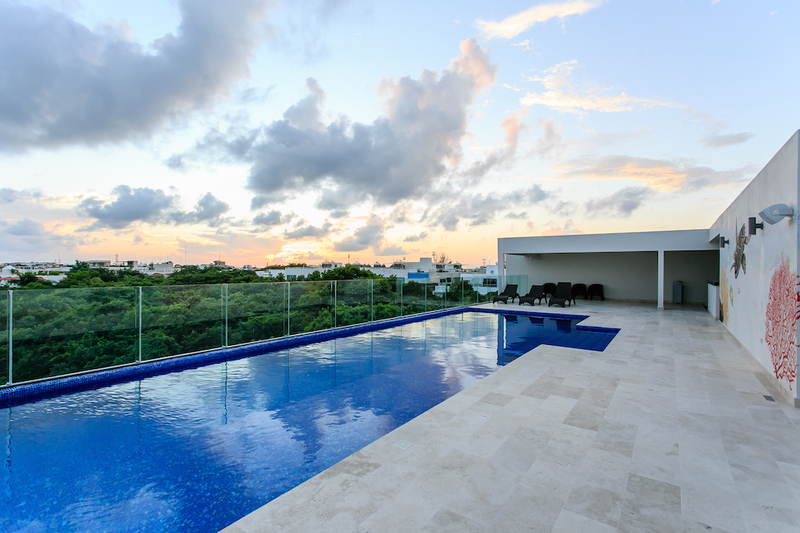 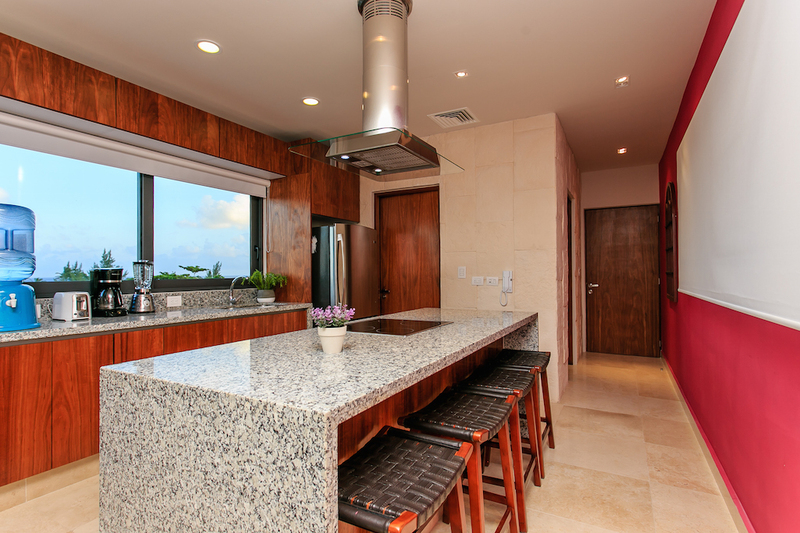 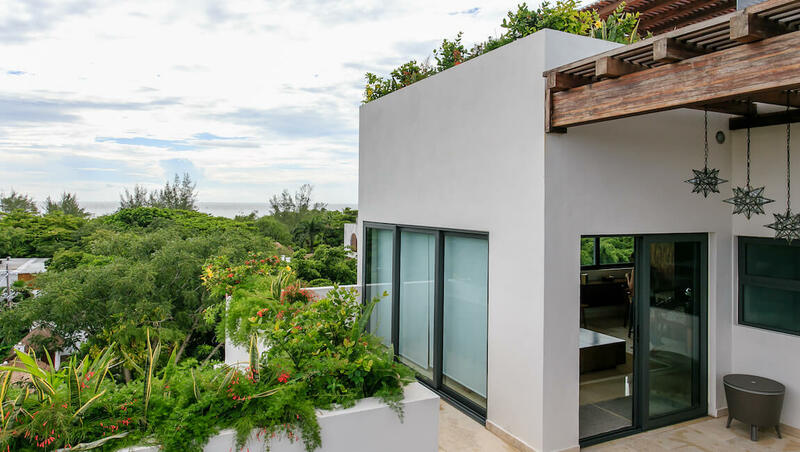 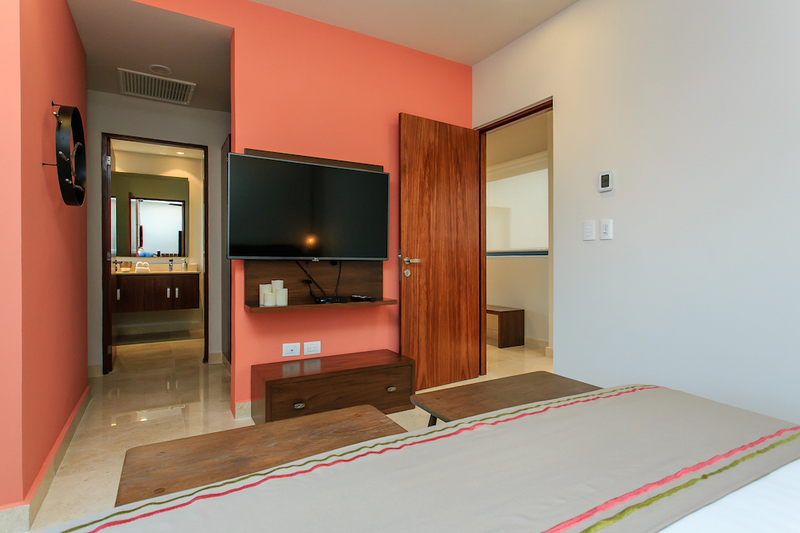 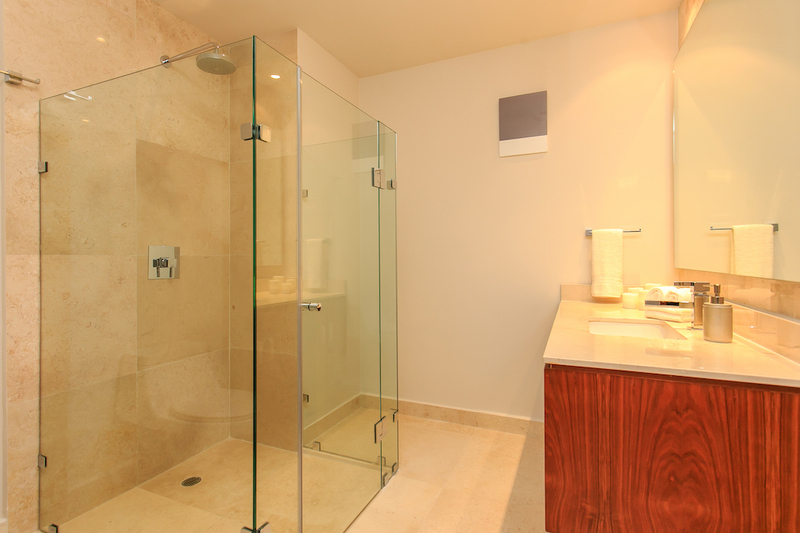 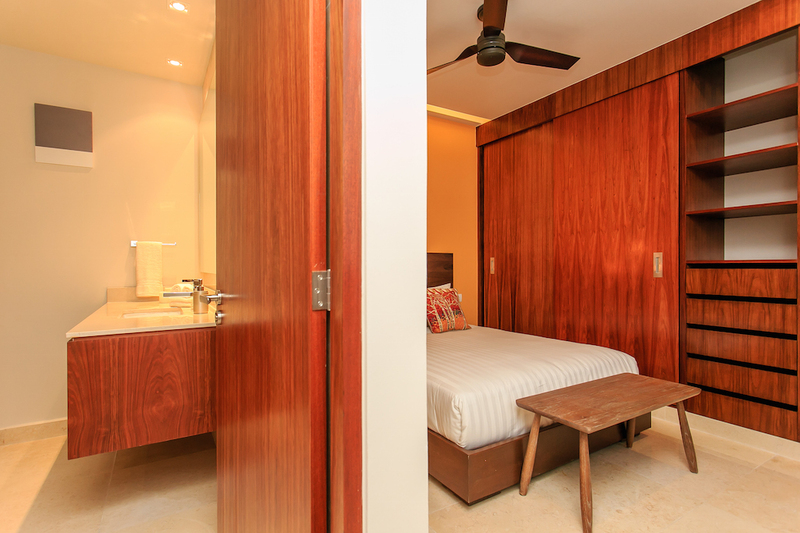 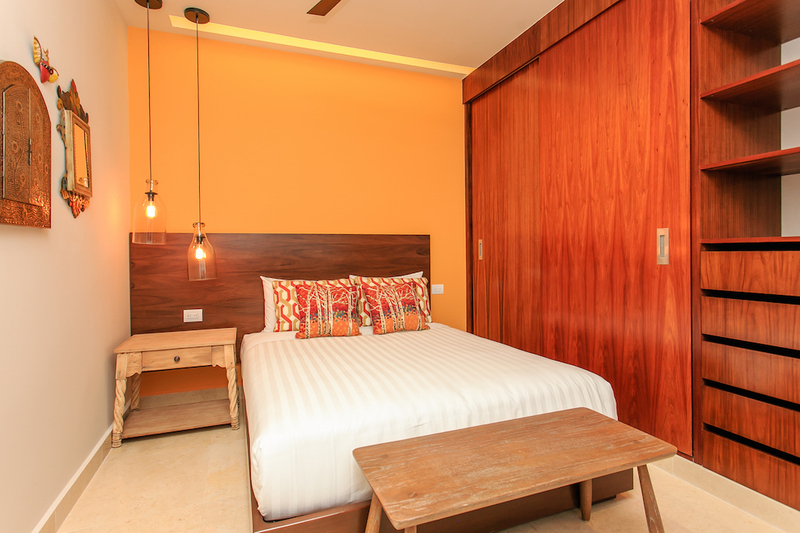 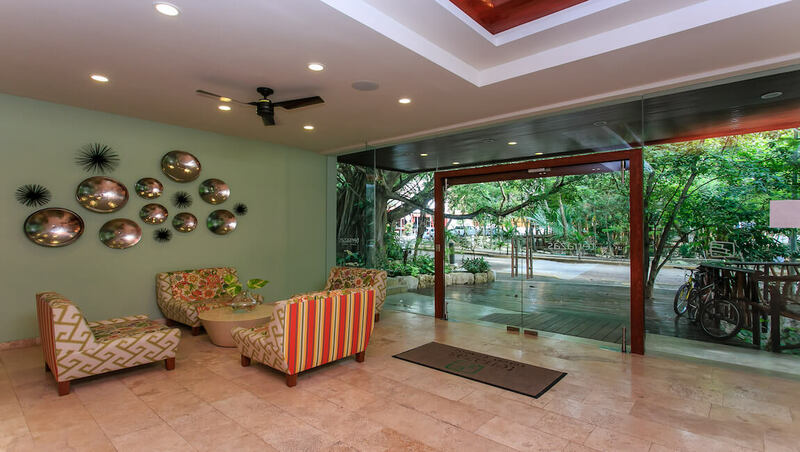 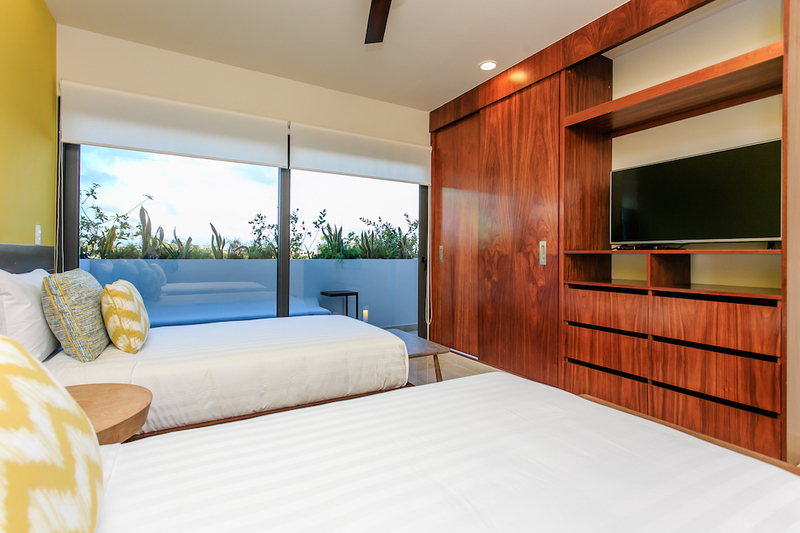 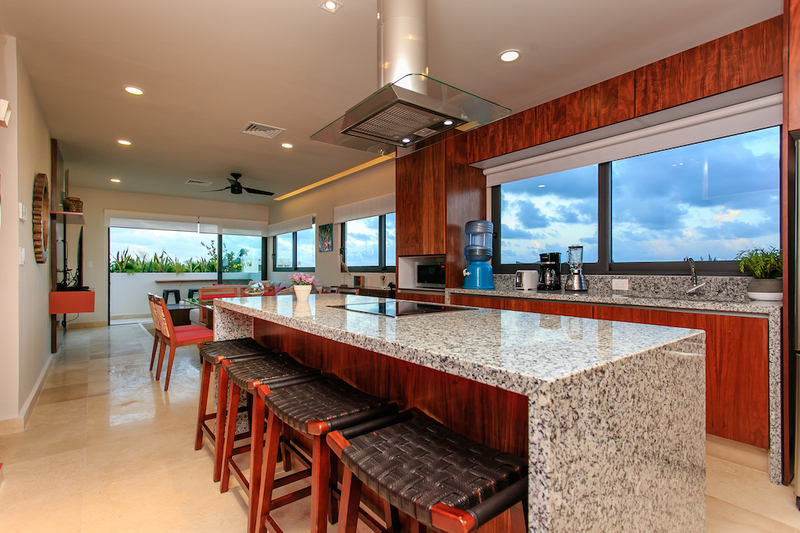 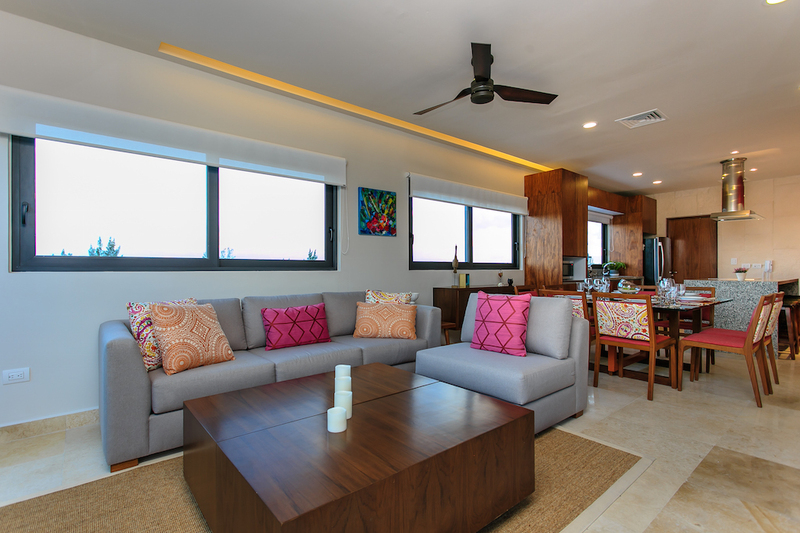 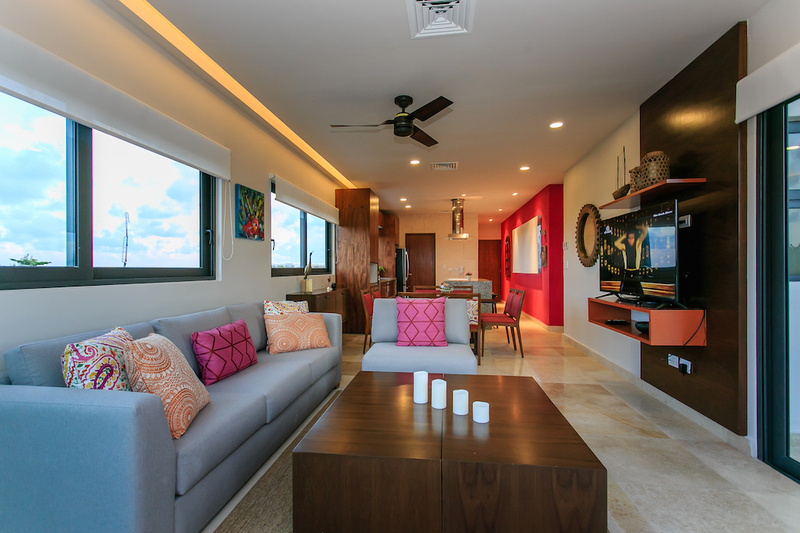 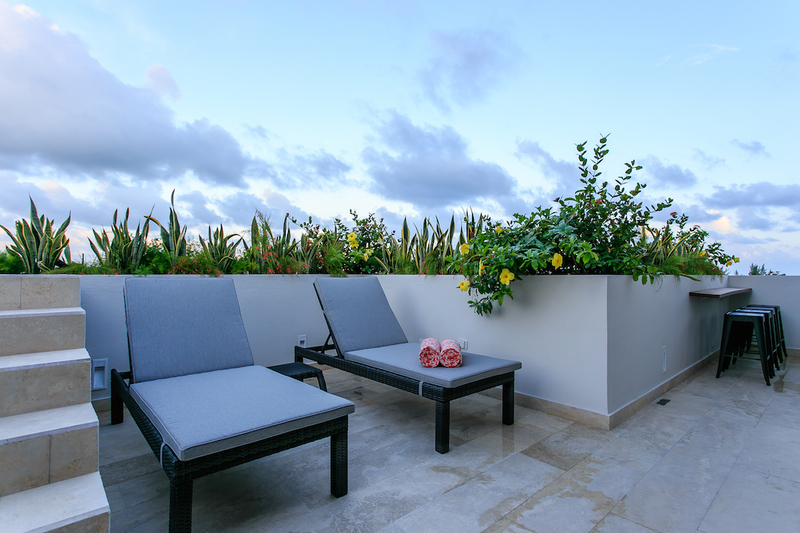 Beautiful option for rentals in Playa del Carmen, this penthouse is in the brand new Terrazas building, located on Calle 38, a tree lined street with incredible restaurants, you are just minutes from the beach and 5th Avenue when you stay at Terrazas Penthouse! 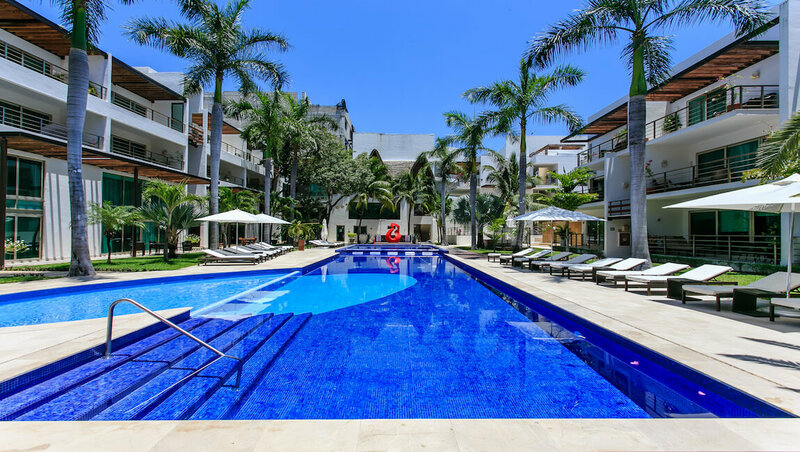 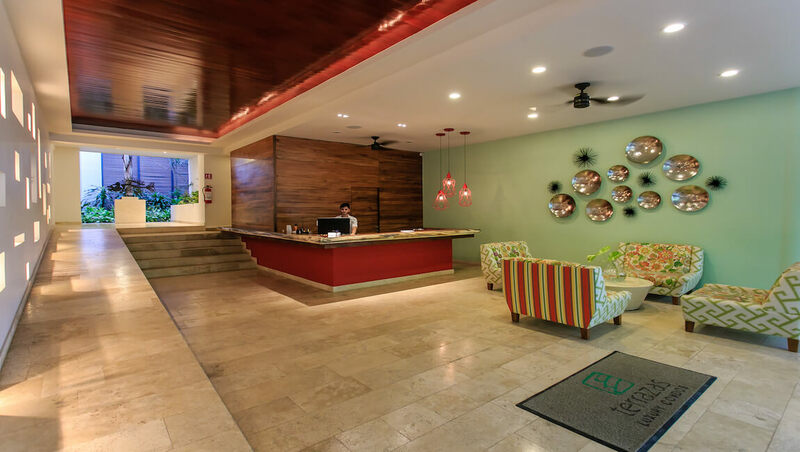 A convenient location for vacation rentals in Playa del Carmen, just one block from the beach and one block from 5th Avenue! 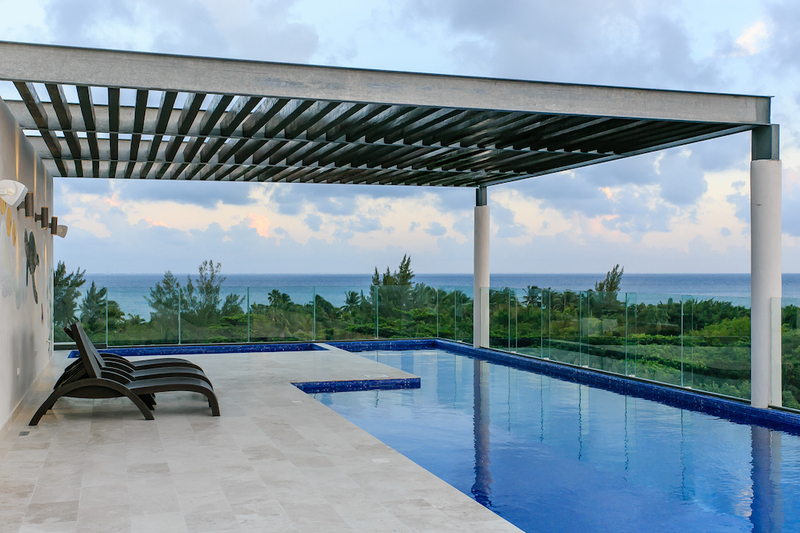 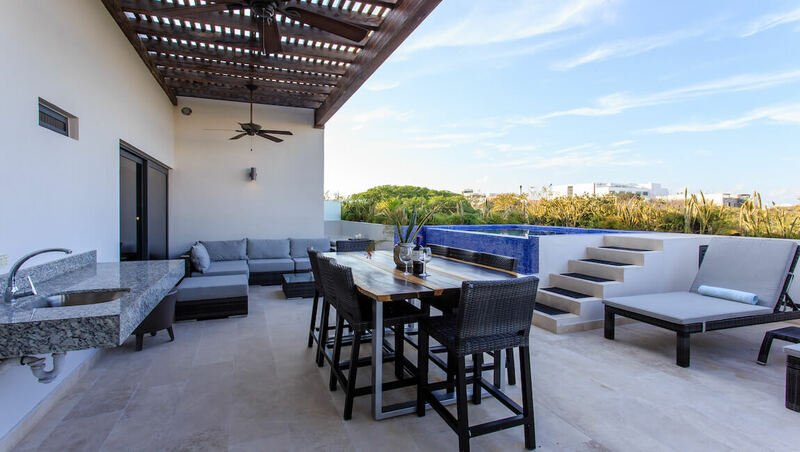 Enjoy the stunning outdoor spaces during your stay, this penthouse has a private pool, lounge chairs and outdoor couch, you’ll love evenings under the stairs and enjoying the sunrise in the morning. 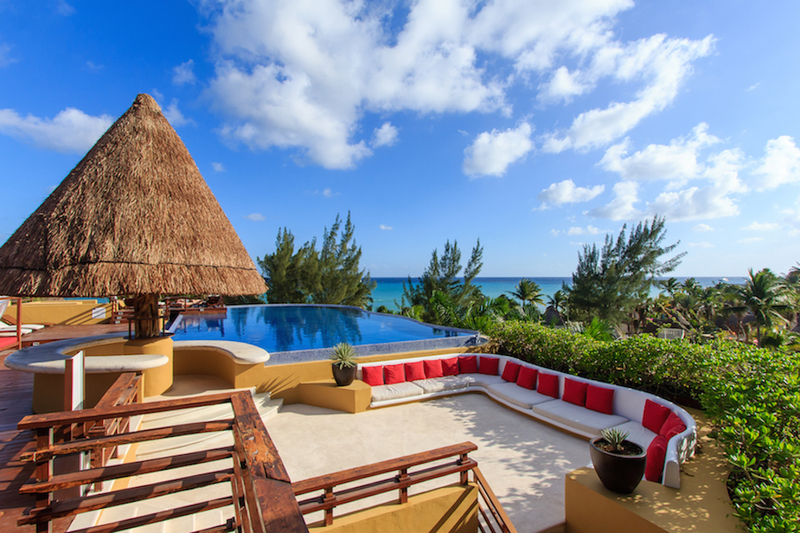 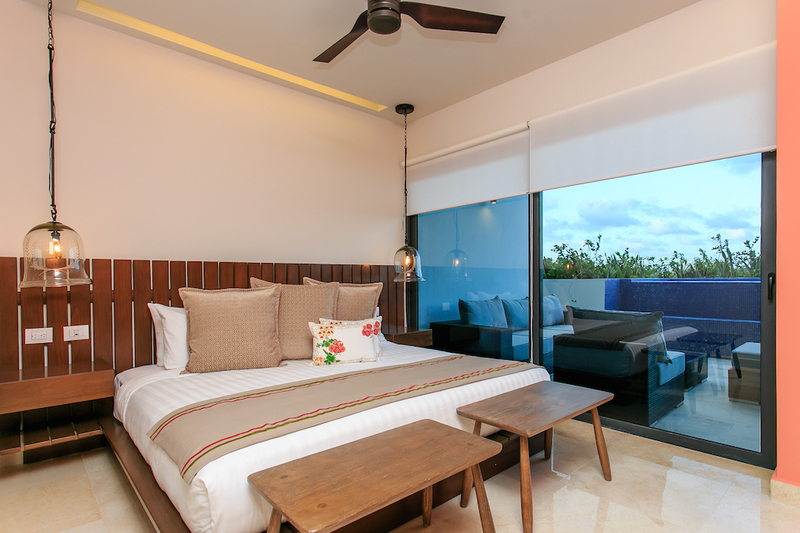 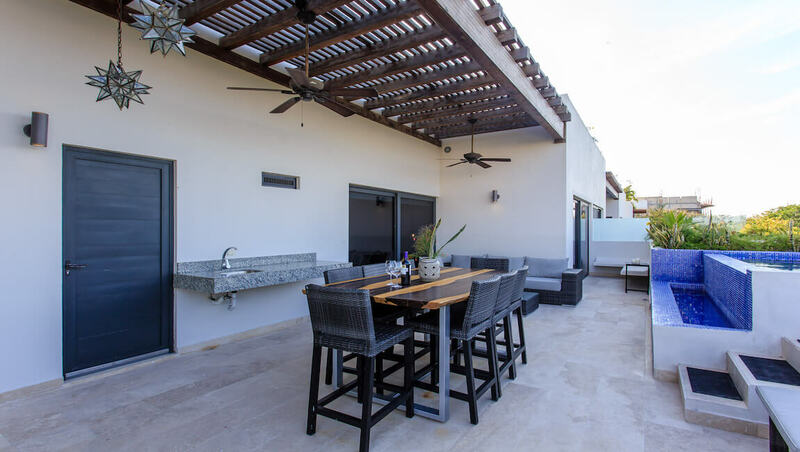 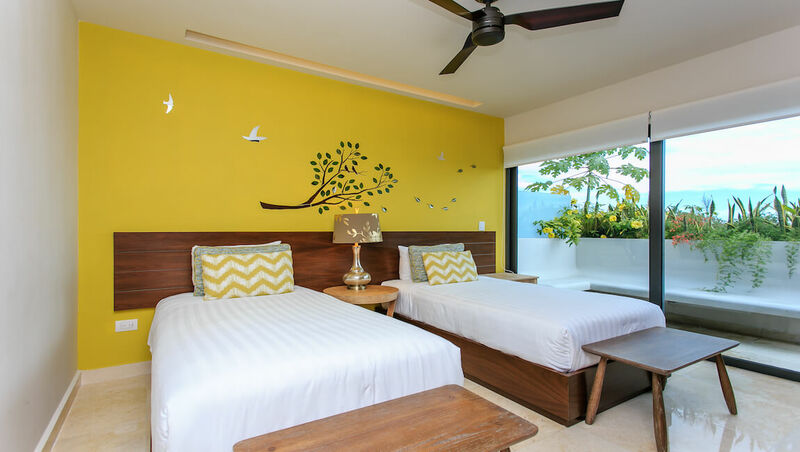 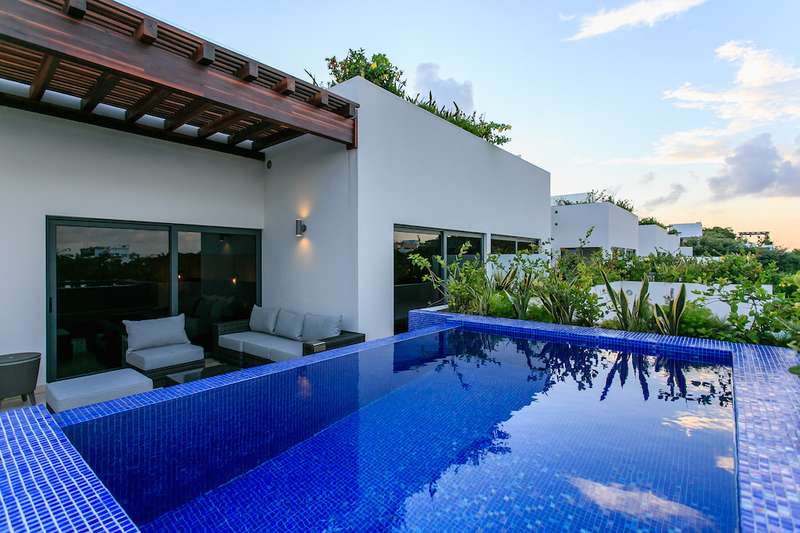 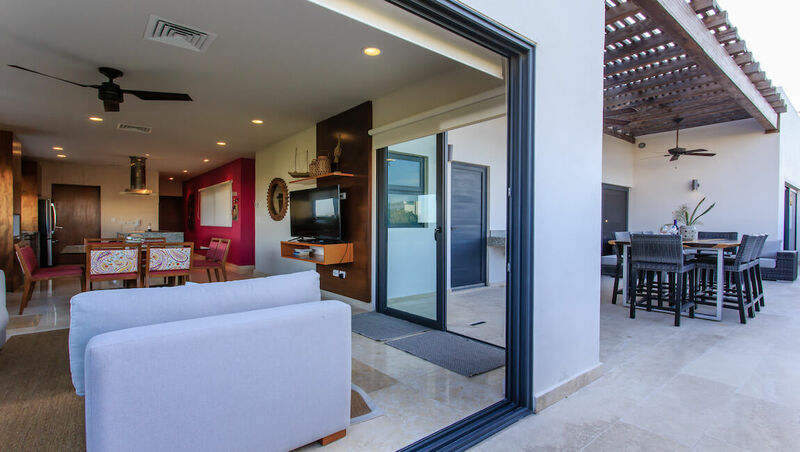 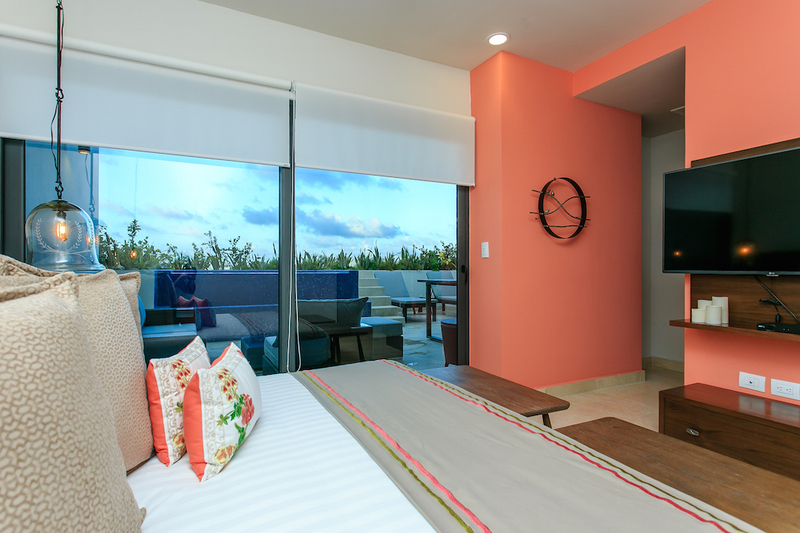 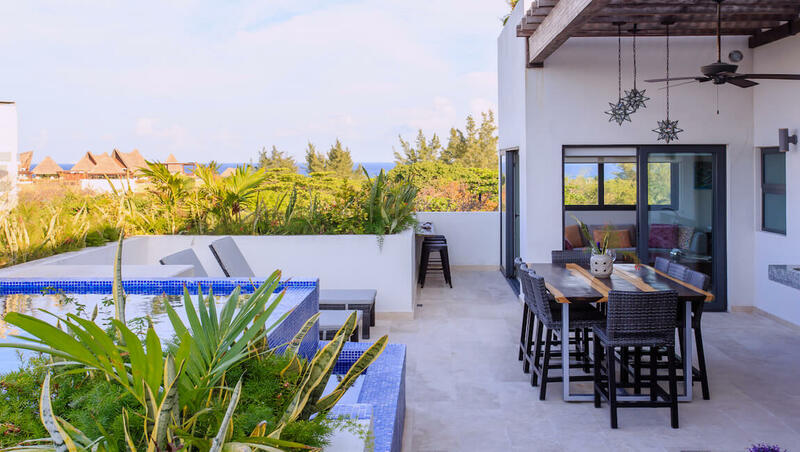 A great option for vacation rentals Playa del Carmen, the Terrazas common areas include a rooftop pool with lounge chairs and gorgeous Caribbean views. 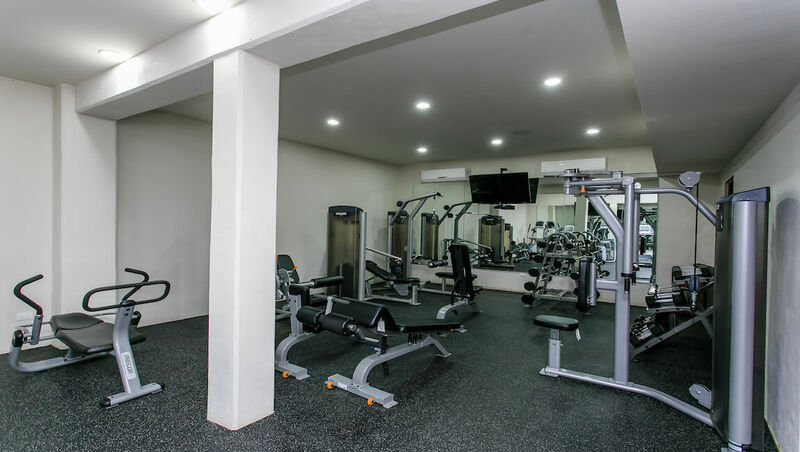 The building has 24 hour security and a gym onsite. 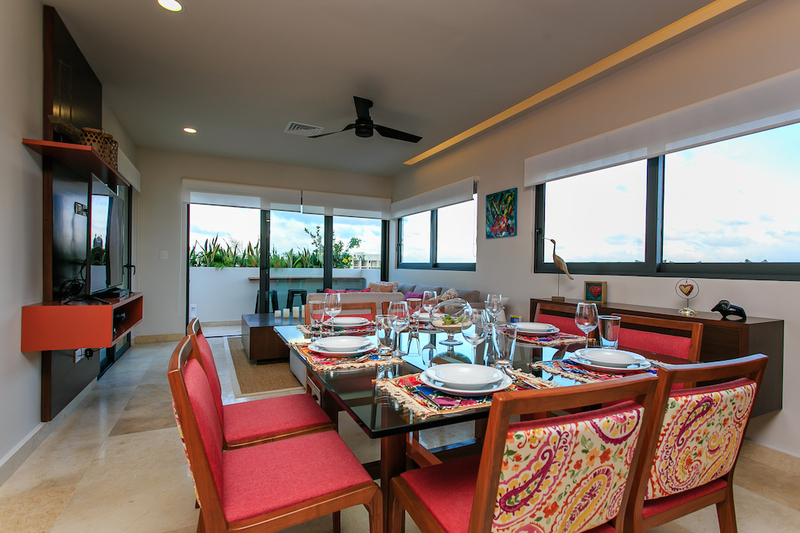 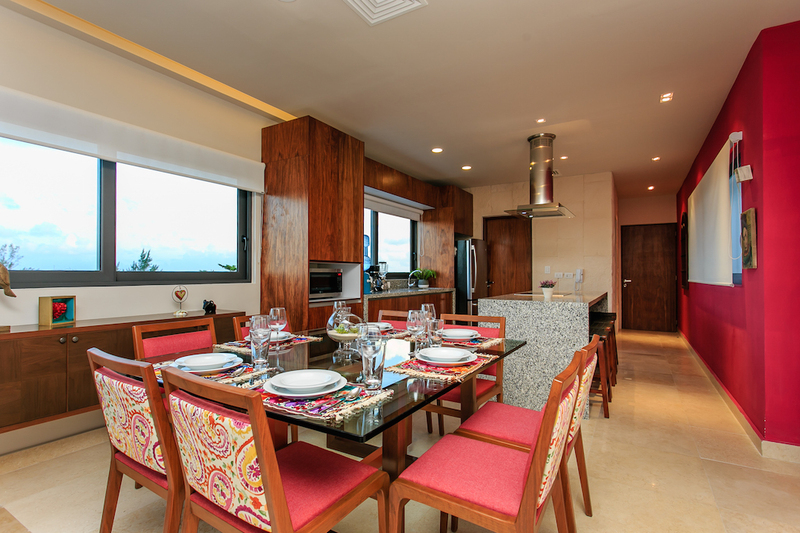 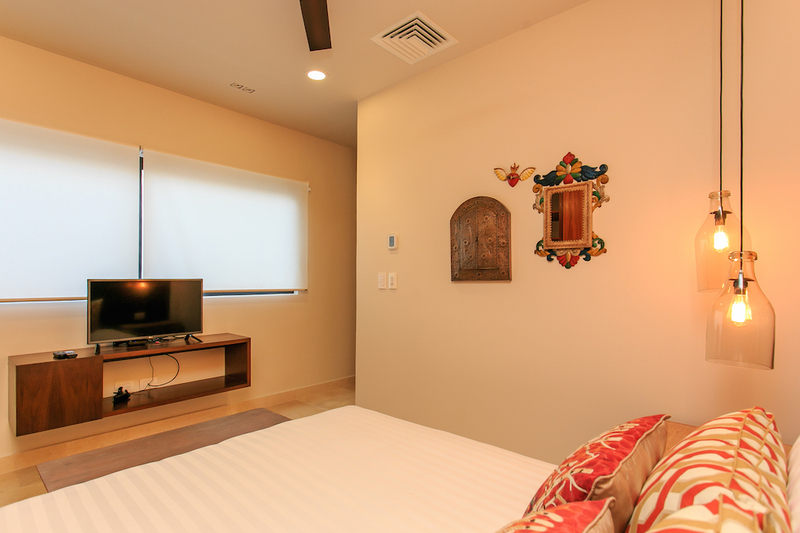 Plan your getaway today and book your stay at Terrazas Penthouse!